Do you need assistance with garden clearance in Plaistow E13? We have the perfect solution! For more than a decade we’ve been delivering garden clearance Plaistow residents trust and heartily recommend to neighbours, family and close friends. 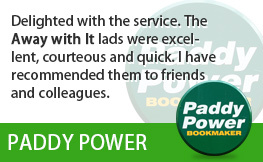 They really like our speedy, flexible services and affordable prices. And we reckon you will too! 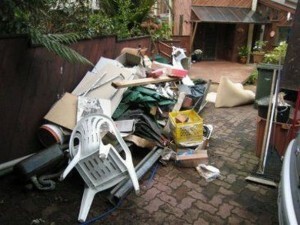 Nobody enjoys garden clearance and disposing of all your garden waste can be an even bigger nuisance. 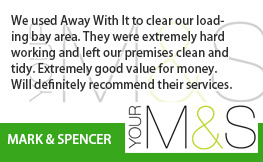 Thankfully, Away With It garden clearance services make the process as easy as can be. 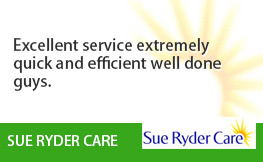 Our experienced and expert staff will remove all of your garden junk fast. And all at a surprisingly economical price. Branches, shrubs, leaves, shrubs, soil and turf. Patio slabs, paving, walls, fence panels and posts. And we will sweep and rake up when the job is done, leaving your garden immaculate. We are licensed waste carriers. 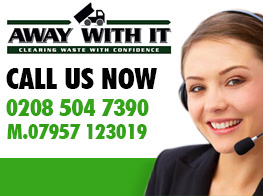 You can depend on us to perform a thoroughly professional job and manage all your waste properly. We are open seven days a week between 7am and 11.30 pm. Evening and weekend bookings can always be provided for your convenience. 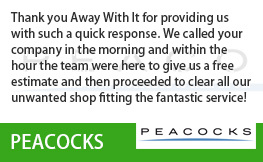 We provide a quick, same day collection service. When you need us we are just a call away. Reservations are in two hour slots and we’ll never fail to call ahead of time to let you know when we’ll be arriving so you’re not left hanging about. 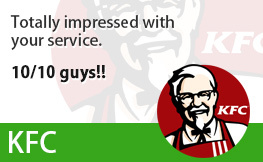 Our unambiguous pricing means there won’t be any disagreeable shocks when it comes to paying the bill. The rate we quote is the price you will pay without any hidden supplements. We always sweep up when we’ve finished clearing your rubbish. We recycle 80 percent of the waste we remove. To discuss your needs for garden clearance Plaistow get in touch with us without delay on 0208 504 7390. We’re ready to take your call 7 days a week from 7am to 11.30 pm. 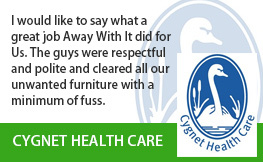 Our experienced staff members will be delighted to answer your questions and provide an affordable free estimate. Or you can provide your particulars using our simple request a quote form and we will respond to you fast.